Laurie Kundrat, MT (ASCP), is a former Microbiologics employee and regular contributing author to the Microbiologics Blog. 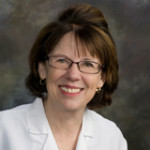 She has over 30 years of experience as a microbiologist and a clinical technologist. During her career at Microbiologics, Laurie was an active member of the Personal Care Products Council (PCPC) and served as a member of the Microbiology Committee. She graduated from Case Western Reserve University with a degree in biology. She also earned a medical technology degree from Fairview General Hospital. Laurie has grown to love all types of bacteria. She has a passion for working with customers and helping them use Microbiologics products successfully. Water Quality Quiz: How Well Do You Know Waterborne Pathogens?